We’d love your help. Let us know what’s wrong with this preview of Spellweaving by Sally Morningstar. To ask other readers questions about Spellweaving, please sign up. For the most part this book probably has the least amount of really problematic items in it compared to all of the other books that I've read. There are some bothersome issues which I think should be clearly addressed as part of the review. Mainly, there are a lot of claims which this book makes but does not bother to provide citations to back up the claims made. From the origins of the word witch to not specifying specific traditions or cultures which are being referenced to talking about ancien For the most part this book probably has the least amount of really problematic items in it compared to all of the other books that I've read. There are some bothersome issues which I think should be clearly addressed as part of the review. Mainly, there are a lot of claims which this book makes but does not bother to provide citations to back up the claims made. From the origins of the word witch to not specifying specific traditions or cultures which are being referenced to talking about ancient cultures and how they used spellwork, there are several claims made in this book which are not accurate or are not covered by any other information. Am I supposed to take Sally Morningstar's implications that the Ancient Babylonians used their knowledge of planets and seasons to do spellwork on face value? That the statement that “ancient worship of natural forces has been very instrumental in forming the natural magical practices that still survive to this day,” (p. 18) is indeed a factual statement in of itself? I would like to see citations from experts or at least the listing of source material where the author is retrieving their information from, so that I can see if the author has over generalized the content or has glazed over important details. Such as what those natural magical practices are specifically (especially since the paragraphs preceding this talk about lunar worship and the paragraph which that statement is in is about an Egyptian Sun Deity. The other problematic topic which should be discussed is that in some areas of this book are listings of “Native American” beliefs (overgeneralizing and homogenizing the Native American Tribes as if they all were the same damn thing) as well as practices and offerings which have specific cultural context and practices like Smudging. Don't get me wrong, smoke cleansings have been part of several different cultures. However, smudging is a practice which has been appropriated from several Native American Tribe customs – to the point where non-Native American people associate any kind of smoke based cleansing to be smudging. It's gotten extremely out of hand in the New Age section, and this book appropriates it down to literally a guided picture practice. Furthermore, there's some Lakota concepts which have been taken out of context and out of place. If you aren't aware, there is a Declaration of War by the Lakota tribe on anyone who is attempting to steal or use Lakota Spirituality to make money from it (which arguably publishing a book with it in it would be making money). This was published six years prior to the publication of this book – which means this author should remove it from her book on page 50. One other key thing that I want to discuss here that may or may not be an issue here is that much of the spells, in fact the majority of the spells, come from a Kabbalah like-Golden Dawn-ish magical standpoint where Angels are called down and things are based on numeric or other values. I'm not sure how much of this is appropriated from Kabbalah as I have very little experience with it. But it does seem a might suspicious to me, and I'm just including it here just for the word sake. I think it might be best to actually either go to a Golden Dawn source or directly to Kabbalah to understand the reasons for why things as associated with what. The last major issue that I'm going to cover in this review is the amount of curse shaming or ill will spell cast shaming that this book posts on a regular basis. It throws the “Law of Return” out at the reader at every chance it possibly gets to remind the reader (chastise the reader) that they shouldn't be doing these spells for “bad reasons” or else the big ol' bad Law of Return is going to come and get you. It got to the point where I stopped counting how many times it was referenced within the spells themselves. Generally, other than that there's a lot of spell theory in here which I don't personally agree with. 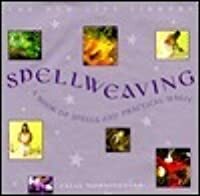 Like for example, that “[s]pellweaving is not separate from God and spirituality, it is part of that consciousness.” (p. 6) This assumes all spells come from the same place and that everyone performing spells a) believes in God (or Gods) and b) works with them. I also disagree that spells are nothing more than positive affirmations, especially after seeing much of the spells within this book. The spells listed in this book are clearly not solely positive affirmations as they include several things from Kabbalah. I also disagree that adaptions cannot be made to spells where needed as well as that “belief” is the most important part of spellwork. Also, for the record, I don't see a problem with recasting a spell – especially since this book advocates recasting spells within a few of the spells themselves. Most of my problems with this book were that the spells lacked appropriate information (especially since they are so heavily based off of Kabbalah) for how tos and whys of casting particular spells in particular ways, the major use and abuse of Native American tribes (specifically Lakota), and the general spell theories here that either didn't make sense or were not adequately explained or reasoned. Especially if this book is a guide to spellweaving (or should I say spell casting), having information for why ingredients are needed or having explanations which at least make sense within the context of the point of view that someone's operating under would have been well appreciated. Citations are specifically something that are required for this book to have when rolling off “factoids.” Oh and it would be nice if the author warned about handling potentially dangerous stones or herbs – since a few of the ones the author has listed to be handled contain various elements which are harmful for humans to have skin contact with for a prolonged time.